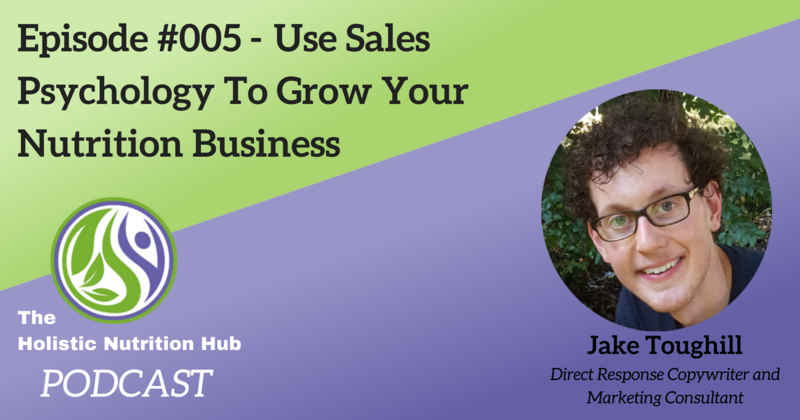 In this week’s episode, I interview Jake Toughill to talk about sales psychology and how it can help you get more clients for your nutrition business. Jake Toughill is a Direct Response Copywriter living in Greenville, South Carolina. He uses persuasive writing and sales psychology to help natural health businesses get more customers. When not writing, Jake enjoys studying alternative health, spending time at the gym, and exploring the world with his fiancée.